When marketing healthcare-related products and services, it is important to make your message clear and get it out to all your prospects. However, you also need to wisely plan on how to carry out an effective marketing campaign. To do this, you’ll be needing something that lets you reach a large number of prospects in a short span of time. One thing that can let you do this is e-mail marketing. Because of it being fast and cheap, e-mail marketing is often an approach that a lot of businesses use in order to find more prospects. Sometimes, they even combine in with B2B telemarketing in order to produce more results with their campaigns. Sending your e-mails to your prospects is, of course, the first step to accomplish in your campaign. But before starting this, you must plan on what content is to go into your e-mails. Make your content interesting but not too long so as to keep your prospect’s interests in your newsletter. If you’re targeting different prospects, always make sure to plan which e-mails to send to each group of prospects. Their interests may not be the same all the time so it is important to keep track of the content you send in order to get the best results. After you’ve sent your e-mails, you may receive responses from your prospects at anytime. Of course, based on their response, you can designate them as medical leads for your company. After adding them to your sales pipeline, you can prep up your telemarketing campaign to perform lead follow-up calls and put you in closer contact with your prospects. Sometimes, prospects may also request that you give them a call as to discuss with your services, something which having a medical telemarketing campaign can be good for. If you see that your prospects express interest in what products and services your company is offering, then using medical telemarketing to do B2B appointment setting can put you right where you want to be: in a meeting with them. After sending your e-mails and getting medical leads from them, B2B appointment setting can help you with meeting these interested prospects and allow you to start nurturing them into sales-ready ones. Follow-up calls are important to get to in a short period of time after a reply has been given to your e-mails, it will show the prospect that you are professional and just how you function as a company based on how punctual you are to accommodate them. This is one way of how you can use e-mail marketing and medical telemarketing to increase sales and locate more prospects for your company. Generating medical leads and B2B appointment setting out of interested prospects is one of the best methods to use when marketing in the medical industry. The medical industry is a hard place to market in. With its unique environment, the usual marketing approach and tactics may not be as effective as you think. Some people rely on specialists in order to market in this industry, consulting with them to devise the best business practices in successfully tackling this market. Others, well, they outsource with sales and marketing solutions specialists in order to suit their needs. One such type of firm which is a good partner to have in penetrating the medical industry market is a medical telemarketing company. The question still remains though: What can you do with medical telemarketing? How can it work for your firm? Well, depending on what type of company you are, then that all really falls down to what you need done for you. For example, you could be a medical supply company that is looking to be a service provider to hospitals. If this is the case, then a B2B appointment setting campaign is what you need in order to meet with your prospects and start gaining more medical leads. However, in some countries, telemarketing to hospitals is not allowed. Also, other hospitals may be on the DNC list so it would be best to consult your medical telemarketing service provider on what the best course of action to take is. That being said, you can still target other medical-related businesses and market to them. Since, as assumed above, you are a medical supply company, you can market your products to medical supply retail businesses. You can do this through appointment setting, or even through e-mail marketing which medical telemarketing companies can handle for you. It is also good to know that even though they are called B2B telemarketing firms, they have changed over the years and have become flexible marketing arms which offer a variety of marketing services. E-mail marketing is such, and can be very good when paired with a telemarketing campaign to generate medical leads. On that note, such a campaign would flow like this: 1.) send e-mail to prospects. 2.) filter out positive responses from negative ones/not interested ones. 3.) make follow-up calls. 4.) generate medical leads. As you can see, the campaign can start with sending out your e-mails to prospects. After that, you can start seeing who express interest in your products and services, then put them aside as possible medical leads. After that, you can use medical telemarketing to get in direct contact with these prospects in the form of a follow-up call. Next, your telemarketers can start generating leads based on the responses of said prospects, given of course that they meet your set qualifying parameters. After they are qualified, you can even go with B2B appointment setting to schedule face-to-face, or even phone appointments, with these prospects. Once all that is done, all that’s left to do is nurture them until they become sales-ready. Medical telemarketing can help you with a getting leads, setting appointments, and other marketing solutions as seen above. Just make sure to find a medical telemarketing company that suits your needs and can effectively market your products and services to your prospects. Choosing the right BPO company for the job is never an easy decision. When you need a lot of tasks to be handled for you, especially when it comes to marketing, then picking the right company to work with is crucial to your performance and the success of your marketing campaign. When you are a company that targets the medical industry, the importance of picking the right BPO company for the job increases as tackling this industry is quite difficult, not to mention different than with taking on the regular B2B market. One of your best bets as a BPO company to partner up with would be a medical telemarketing company. Medical telemarketing companies are some of the best service providers around. They are capable of handling various tasks, making them quite flexible. Flexibility with tasks is something you may need as tackling the medical industry is not something you can do through a singular approach. You may need to employ B2B appointment setting, cold-calling, e-mail marketing, and even event telemarketing and database/list management in order to have a successful run with your marketing campaign. So, let’s go on to talking about what these services are and how medical telemarketing firms can perform them to help you out. Cold-calling can be used as a means to do teleprospecting. One of the first moves to make when planning a medical telemarketing campaign is always to find out who your prospects are. You may already have an idea on which industry you should target, but you should also make use of teleprospecting to get a feel of the market you are targeting and to see if medical telemarketing works well within it. Also, this generated awareness on your brand and gets the word out about your company. Aside from that, teleprospecting through cold-calling is a good way to generate leads, in this case medical leads. Once you have medical leads, you can get down to having appointment setting done for you. You may already have an idea as to what appointment setting is from the name of the service itself, and it is best done when you have leads. Since you’ll be dealing with key decision makers within the medical industry, many of which have busy schedules and may be hard to catch at certain times, scheduling a business appointment is one of the best approaches to take because it can nearly guarantee you a meeting with your prospect, given of course that they are interested in what you offer and agree to an appointment. Nonetheless, this approach works when your target contact persons are those with high-ranking positions within your prospect companies. Some companies make use of direct mailing campaigns in order to generate leads. Well, some medical telemarketing companies can handle doing both calling campaigns as well as direct mailing campaigns. Combining them together, you can filter out who your prospects are, the interested ones, from those that aren’t interested in your company’s products and services. This helps to produce a more efficient as well as a more accurately targeted campaign. And since e-mail marketing campaigns can reach a large number of prospects over wide distances, it is one of the best ways to reach your prospects in far-off locales. Once that is done, follow-up calls can be made to those that give positive responses to your sent e-mails. The name of the service speaks for itself, and this service can be used for when you have an event and want to send invites through the phone. Through the direct approach of telemarketing, you can achieve a better visitor turn out. Some even combine this with e-mail marketing, then following-up with a call in order to inform them of other details or remind prospects about the event. Needless to say, a medical telemarketing company can handle many tasks which could influence the success of your marketing campaign. If you’re thinking heavily of business process outsourcing, then consider this type of service. The online world has plenty to offer marketers who are willing to learn all its twists and turns. That being said, one way to do this is through social media marketing. But what about your other marketing approaches? Will you be leaving them behind? The answer to those questions is no. You’re not going to leave behind your other medical lead generation methods, rather, you’re going to take on another field where you can generate leads: the online one! So, here are some ways in which you can combine your online and offline marketing strategies to perform lead generation for medical leads. Go with social media – One of the best internet marketing methods to generate leads from is through social media marketing. Here, you’ll all be about content and connecting with your target prospects. Since you’ll be doing this for medical leads, then it would be obvious that your target market is the medical industry. So, how do you start? First off, you’ll need to start exploring social networks and how you can connect with your prospects via these websites. What you need to do is to generate interest within your product/service and start gaining followers and fans. Once you have an audience that seems interested, you’ll need to start connecting with them so that you can plan your approach. Social media is also a place where you can connect with your audience and get feedback in regards to your brand. And given that chance, you can address their inquiries in real-time, or clear up confusions in a venue that is open to the public which in turn gives you some positive publicity. Follow-up with email marketing – After you’ve tackled social media and have generated an interest in your brand, then it’s time to get closer to your medical leads. For this, you can make use of email marketing. Introduce yourself and your company on a much more direct and personal basis and start exchanging a string of emails with them. Soon enough, you’ll be addressing their problems and other issues they have with their current providers, or they may seek your professional advice in regards to business matters. This is the part where you’ve already begun to nurture your medical leads, and this is the part that matters most in the process. Nurture your leads properly and they could yield sales in the future. Email marketing: Done. Medical telemarketing: start – The next step in this process, after you’ve connected with your prospects via social media and email, is to give them a ring. If you’ve nurtured your medical leads well, then this should be part of the deciding factor for them. Grab the opportunity that their interest in your brand provides and get one of your sales representatives to start talking with your prospects. Once contact has been made, it would be time to go with appointment setting. If your prospects are really interested and show signs of buying, then seal the deal by setting up an appointment between your businesses. Soon enough, proposals will be flying back and forth between yours and their company, and in the end, maybe a sale will come out of it. Social media should now be one of your primary methods of finding new businesses to work with; consider it as something essential to your current lead generation strategies. What do you think about mixing offline and online marketing approaches? Building your database of medical leads is no easy feat. You’re going to be hard at work at performing lead generation in order to draw in more of your prospects, and of course, to make sure that they are qualified enough to be considered leads for your company. There are a variety of ways for you to do this, however, you of course want the best methods available to do so. So if you’re planning to get in touch with your prospects and kick-off your medical lead generation campaign, here are some pieces of advice for you on how you can effectively build your medical leads database. Generate leads from referrals – Being referred by your current clients and customers is one of the best ways to generate good medical leads. Of course, people’s choices do vary when selecting service providers, however, you must not forge that your target decision makers are still human. This means that their decision making capabilities are also influenced by their emotions, and sometimes, their own biases towards certain people. So, as per what has been said, being referred to your prospects by your clients and customers is one of the best methods of lead generation. If you are referred, wouldn’t that mean that your company does a good job and that your clientele believe that other business contacts they know should be working with you. Other than that, setting-up a referral program can also help to increase the number of leads you generate from client referrals. Cold calling services – For cold calling campaigns, it is usually for the best to outsource. You can hire a medical telemarketing company to do what you need and rely on their expertise within generating medical leads through the phone. One thing to always remember in using cold calling is that you should not start your campaign with making sales. Many marketers have already failed in not remembering this and have seen their cold calling campaigns go down the drain. When using cold calling, do not try to get and push for a sale; after all, you’re making initial contact with your prospects. If you think about it, having your telemarketers pursue sales out of them will not play to your advantage especially because they have no idea about your company, and neither do they appreciate telemarketers dropping prices right there and then during the course of a call. So for cold calling, make use of it as a marketing activity and not a selling activity. For better knowledge about these types of campaigns, consult with a reputable medical telemarketing company. However, you should note that cold calling is still one of the best lead generation methods available to marketers, especially those that know how to effectively make use of it. Email and snail mail – Your prospects’ inboxes, online or offline, are still an important place for you to have your presence in. When using email marketing and snail mail, it is imperative that you keep your content relevant so as to keep your medical leads from just deleting it, or from shoving it in the trash (or even the paper shredder). It is also important to remember the best times to send your marketing emails and newsletters. As per many marketers, the best results with email marketing come from sending your results during the early hours of the morning just when your prospects are getting into the office. As for snail mail, it is quite hard to predict however the amount of direct mail that your prospects have in their mailboxes is less than that of what they have in their email inboxes, meaning that you have more visibility in using direct mail. These three tidbits of advice can greatly help you in building your medical leads database. If you want more results and suggestions, don’t hesitate to consult with a professional B2B marketing consultant. So, what do you think of these methods for generating medical leads? Tell us in the comments. Generating medical leads is no easy task. Heck, generating B2B leads in themselves is no walk in the park. That being said, B2B marketing to sell medical-related products and services requires that a sufficient amount of medical leads be generated, and a campaign to do it continuously be put into motion. Let’s move on to talking about some marketing moves to help you with generating medical leads. Use events – Lots of people like going to events. In fact, some of your prospects may just be looking forward to being invited to such a thing. If your product or service is not something which you can effectively market through the phone or emails and direct mail, then using events to generate medical leads is definitely a must-do for you. Rather than to just give your prospects and leads an idea of what your products and services are about, you can give them the full brunt of it by having your products and services displayed in action. Do you have some high-tech piece of machinery? Then give your prospects a demonstration! Are you selling a new drug? Hold a seminar to show your prospects the specifics. Using events is a great way to hit up a lot of your prospects in one go. Aside from that, you can generate a higher form of interest from them since you can interact with your attendees in real-time, face-to-face, and show them what you are really about. Meet for coffee? – If you’ve got your sales representatives running around for you and meeting with prospects, then why not try it over a cup of coffee? It sounds far-fetched and a bit too personal doesn’t it? However, a personal approach such as this can generate warm leads. This is one way in which you can show your prospects that you are dedicated to understanding their needs as a company. You’ve already gone out of your way to meet with your prospects out of their office and in a much more relaxing environment such as a cafe, and you’ll likely get warm responses from doing this. If your prospect shows up for the meet, then you know you’re doing something right. It doesn’t always have to be for coffee, the idea here is to meet your prospects at a place where the environment isn’t as tensing such as the office. Discuss with them in a place where you can still keep your business attitude as well as address them on the level of being another person who is reaching out. Go with the phone – Meeting your prospects is one thing, talking with them over the phone is another. If you don’t have the luxury of dispatching your sales representatives, then perhaps the phone will suit your needs. The age old approach of telemarketing has always gotten good results and for the medical industry, generating medical leads through cold calling is still the way to go. However, when cold calling, take heed in your activities. Making sales? Well, not really something you should do if making contact with your prospects for the first time. Cold calling is a marketing medium which you should use to understand and gauge the needs of your medical leads. So, if you plan to use the phone, then take this piece of advice in running a medical telemarketing campaign. These marketing moves for generating medial lead seem pretty basic, don’t they? What’s your idea of an effective marketing strategy to generate medical leads? Feel free to tell us in the comments! These marketing moves for generating medical lead seem pretty basic, don’t they? What’s your idea of an effective marketing strategy to generate medical leads? Feel free to tell us in the comments! Identifying market trends is essential to giving you an idea of the current pricing on healthcare. If the trend is going up, then there is a large chance that you can make a good amount of sales. But if the trend is going down, then the chances of your products and services becoming sellable will go down as well. Although, if what you are offering is a unique product or service, then you may still do relatively well for yourself in the market. Also, if what you are selling is something that is in demand, then your chances are still pretty good. If identifying market trends is what you need done, then doing market research will be integral to your company. For this, you may want to consider exploring the market and your target prospects to see what it is they are currently looking for. Once this is done, you can better tailor your approach and meet their needs. For this, some choose to employ the services of medical telemarketing companies. Usually, this is for doing telephone surveys in order to collect valuable data which can affect the direction in which their marketing scheme would head on to. But aside from just exploring the market and getting an idea on the current trend as well the current healthcare pricing, companies targeting the healthcare and medical industry hire medical telemarketing companies for their capabilities and lead generation services. This is because telemarketers are native cold-callers, meaning that they are used to doing lead generation through these methods. And as a way to generate leads, cold-calling is yet an unparalleled approach that gets very good results. In the hands of telemarketers, a lead generation campaign for medical leads can be very successful and yield a good amount of leads for the company that employs it. The great thing about using medical telemarketers for both lead generation and phone surveys is that they can integrate both into a single approach which can get you your needed data, as well as help in generating medical leads for your company. How do they do this? The answer lies in how they do cold-calling. Telemarketers can ask qualifying questions on behalf of your company during the cold-call. These qualifying questions are, of course, based on your set parameters which you require your prospects to meet before you consider them potential business partners. Also, during the course of the call, they can proceed with asking your survey questions. This is a good way to generate awareness on your brand since telemarketers will be calling on behalf of your company, meaning that they are carrying your brand name with them as they contact more prospects. And the more prospects they contact, the more they spread the word about your company. Also, as they make more calls, they can generate leads from prospects that express any interest in your products and services. With the addition that they can pre-qualify your prospects during the cold-call, you can filter out viable targets you can market your services to and can help you set aside medical leads which you can nurture when the time is right. If you want to know the current trend of the healthcare and medical market, then leave it in the hands of a medical telemarketing firm. With their skills on lead generation and in performing phone surveys through cold-calling, not only can you get leads you need but get that much needed market data as well. 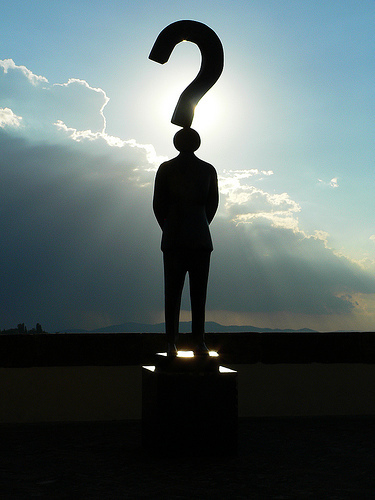 The big question you may be asking yourself is “what can I do with medical telemarketing services?”. Asking yourself such a question is a natural thing, especially if you are a newly opened company that is targeting the healthcare and medical industry. That being said, you may stumble upon medical telemarketing and wonder how it can be used by companies and businesses such as yours. Here are some ideas which may help you in learning and figuring out what you can do with such services. Medical lead generation – One reason why many businesses make use of telemarketing is because of lead generation. You can never be without leads nowadays if you want to keep on closing sales with your prospects. Due to this, people have resorted to all sorts of methods of lead generation, one of them being medical telemarketing. This is best done through cold-calling so if you are looking to make use of telemarketing for lead generation, cold-calling is the best way to find qualified prospects and generate high-quality leads. B2B appointment setting – Getting beaten to a sale by a competitor is perhaps one of the most annoying things to any business. That is why through B2B appointment setting, you can generate medical leads and increase your chances of turning your leads into your clients. Using appointment setting as your approach will allow you to get in close with your prospects and show them your products and services. Rather than just generating leads and pursuing them, you can start your business relationship early with your prospects through having an appointment set between you and them. If you want to establish your presence towards your prospects and get ahead of your competitors, then this is surely one way to do it. Lead follow-up / Event telemarketing – Perhaps you’ve just recently held a medical seminar? Or maybe you’ve just recently come back from a trade show and have generated a lot of leads from it. You can use medical telemarketing to do follow-up calls on your medical leads which you generated from seminars or trade shows. After all, it is important to follow-up leads you generated as soon as possible to secure the interests of your prospects. Making use of medical telemarketing services to generate medical leads and to follow-up on them is surely one way of getting things done for your company. B2B appointment setting will even help in increasing your chances of closing the sale with your prospects, of course given that you’ve nurtured them enough. Attending to medical leads you generated from your events and seminars can become less of a challenging task when you have telemarketers working for you. Sure enough, these services will help your company in achieving business success. So, are you still asking yourself what medical telemarketing can do for you? Well then, it can do lead generation for medical leads, B2B appointment setting, and lead-follow up calls / event telemarketing. Bring your company to new heights through the use of medical telemarketing as part of your approach to tackling the medical and healthcare market. It is a fact that the Internet has fundamentally changed the way people live their lives. How we find things, how we look for other people, and even how we shop and buy things has all been changed by the online realm. Statistics show that 79% of shoppers spend at least 50% of their time researching products. Now, from the perspective of a marketer, this shows that utilizing the power of the Internet can increase a company’s visibility and marketability. So, what does this mean for companies that market their products and services within the medical and health-care industry? This means that the Internet is now a place one can generate medical leads from. Since 1/3 of the world’s total population spend their time online, it isn’t unheard of that even a company with a website that ranks not so highly on search engines such as Google get visits. Everyone will go almost everywhere on the Internet to find things they are looking for, even medical products and services that cater to the health-care and medical industry. So, what are methods one can use online to generate medical leads? Here are a few of them. Email marketing – Let’s admit it to ourselves that direct mail has now become inefficient, and is quite expensive for use in medical lead generation. For this, marketers go online and make use of emails instead as a way to send out their business newsletters to their prospects. Also, as way of generating medical leads, email marketing is inexpensive and quite efficient. However, you need to plan ahead when using this method of lead generation. Statistics show that email open rates are higher during the morning (like 6am and 7am) when people have just arrived in the office. So when using email marketing, send emails early so they are more visible to your prospects and likely to be opened. Medical Telemarketing through VoIP – Using VoIP for medical telemarketing purposes has the advantage of being inexpensive for those who employ it. Using VoIP can reduce the cost of communications and of infrastructure. Also, since calls between VoIP users are usually free, you will not incur much of an operational cost when using it for medical telemarketing. Medical telemarketing done through using VoIP is great for generating medical leads, especially when you employ cold-calling tactics. Blogging – Companies that have an online blog can divert more traffic to their websites through constant updates and back-linking. Also, content and keyword rich blog posts are loved by search engines so creating posts which such content are more likely to be found and rank on top pages. Usually, people do not go past the first page on search engines so keep your content relevant and keyword rich as to increase your ranking on search engines and work your way up to the first page where there will be more visibility for you. There are a number of ways to utilize the Internet and make your lead generation campaign for medical leads all the more effective.